Dog Training Leads are the most popular tool for most dog trainers. They are used to prevent dogs from running away and are an essential tool for teaching your dog to come when called, a behaviour also referred to as ‘The Recall’. 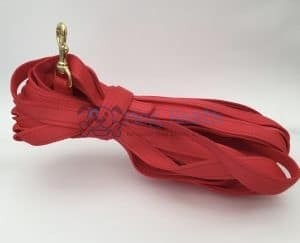 Dog Training Leads are also called long lines, tracking leads or leashes and similar varieties are made from rope or Biothane. We recommend using a good strong harness when using Dog Training Leads. 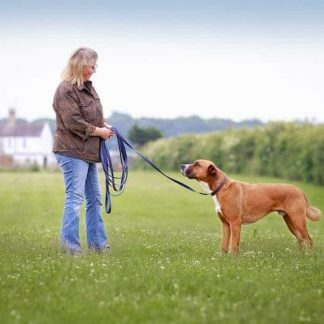 This is because any impact from any jarring effect of the dog training lead will be absorbed by the body and not the neck as would happen with a dog collar or head collar. 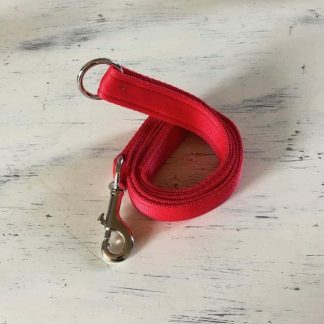 Attaching the lead to the top of the harness will prevent any jarring on the neck whilst also making sure they do not get the dog lead tangled around their legs. The most popular length is 5-15 metres. It is short enough to keep control and long enough to be effective. Why use for training the recall? The main reason dog trainers use these dog leads to teach the recall is because it encourages your dog to refocus its’ attention on you. With just fresh air in between you and your wayward pooch, you have little to no chance of getting, never mind keeping their attention whilst out walking and training your dog. 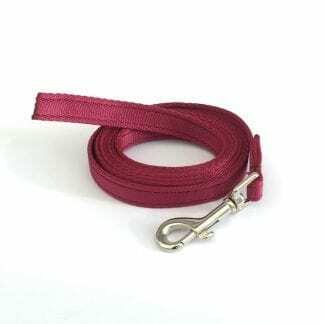 So having a good quality longer dog training lead is a great way to train and exercise your dog.